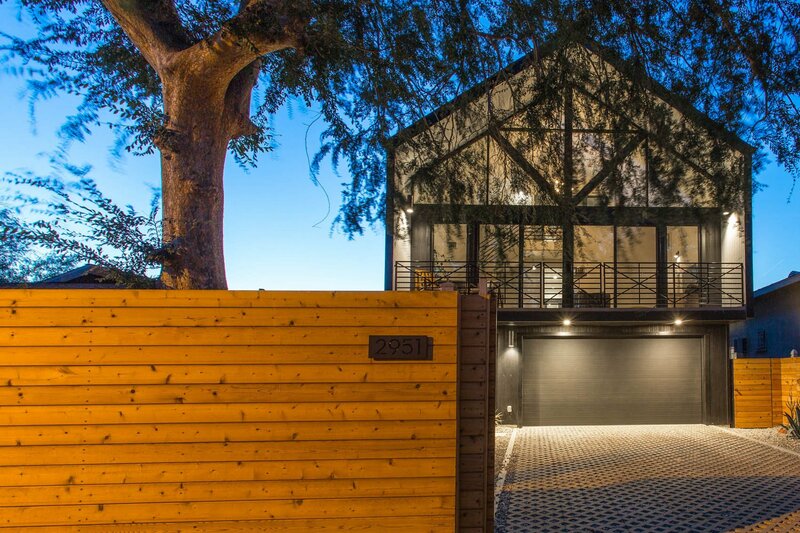 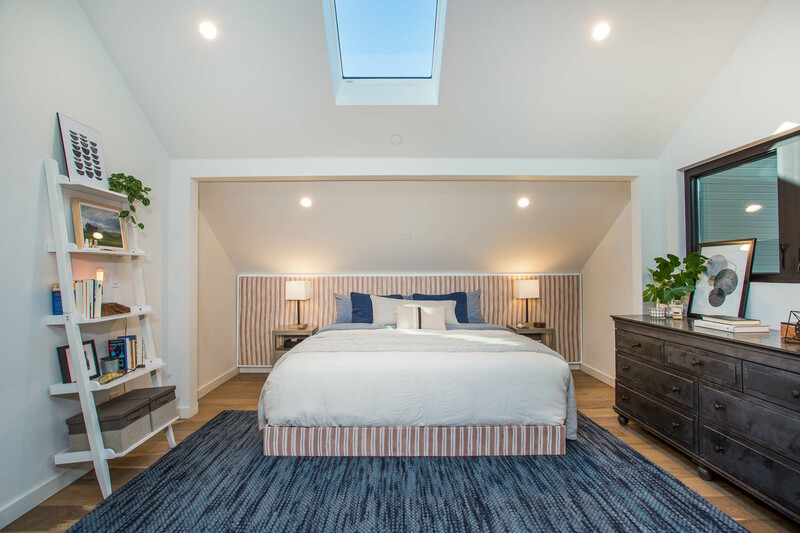 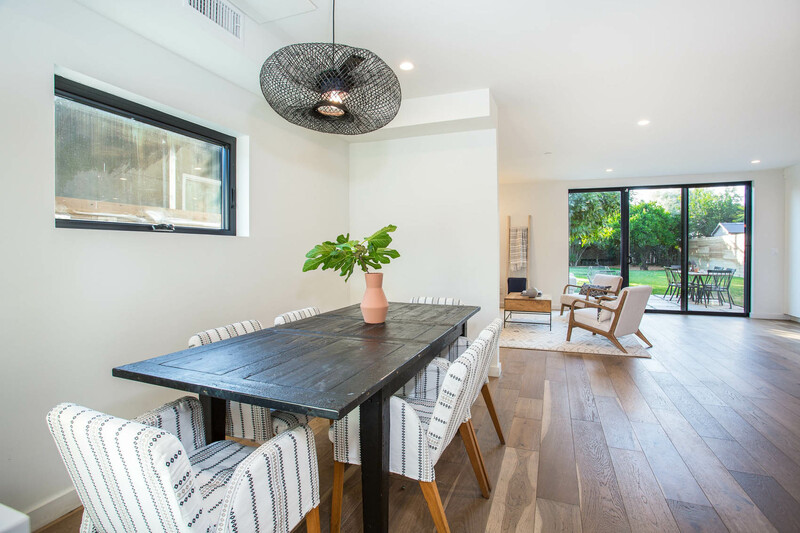 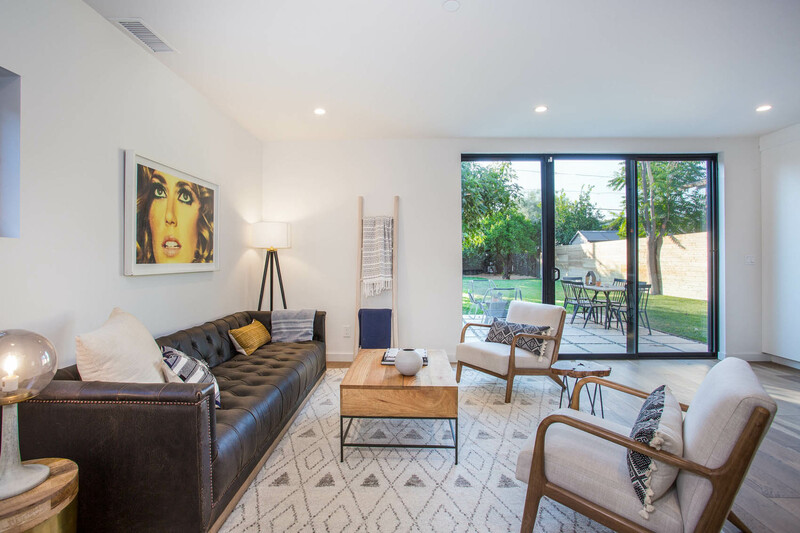 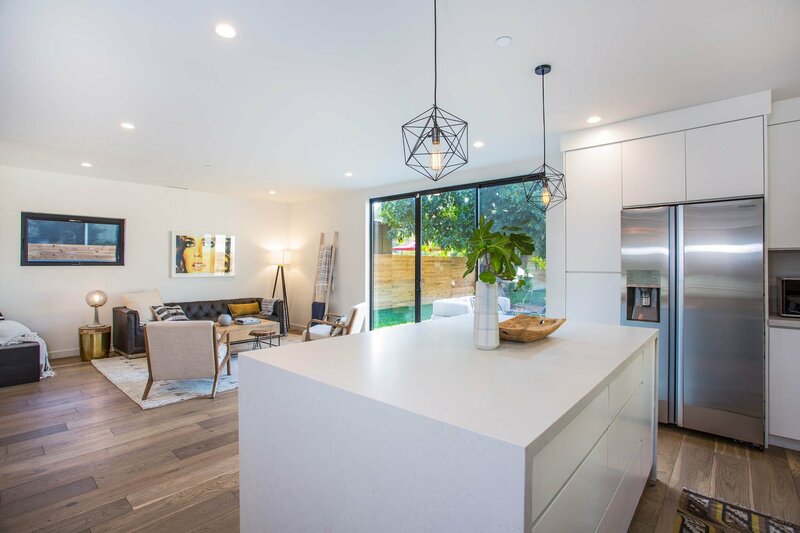 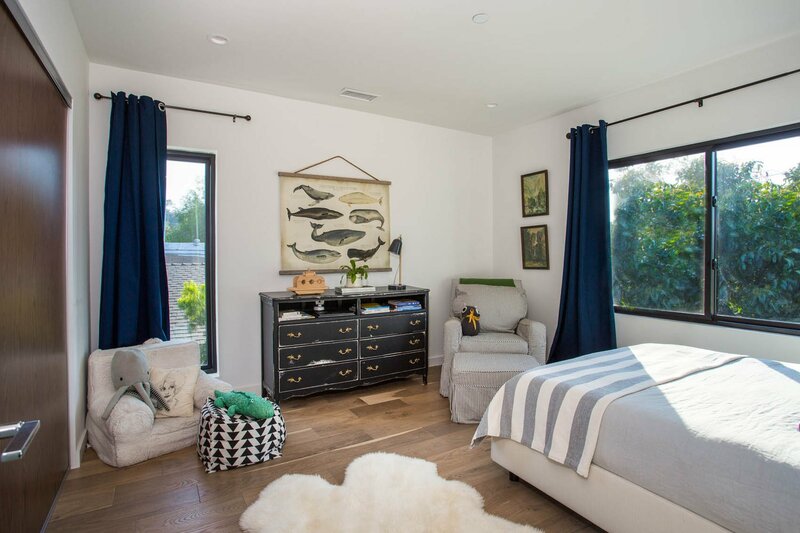 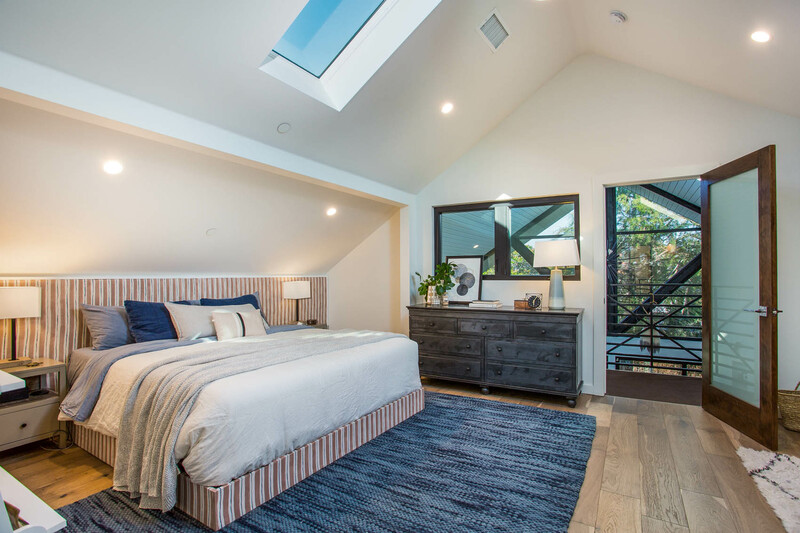 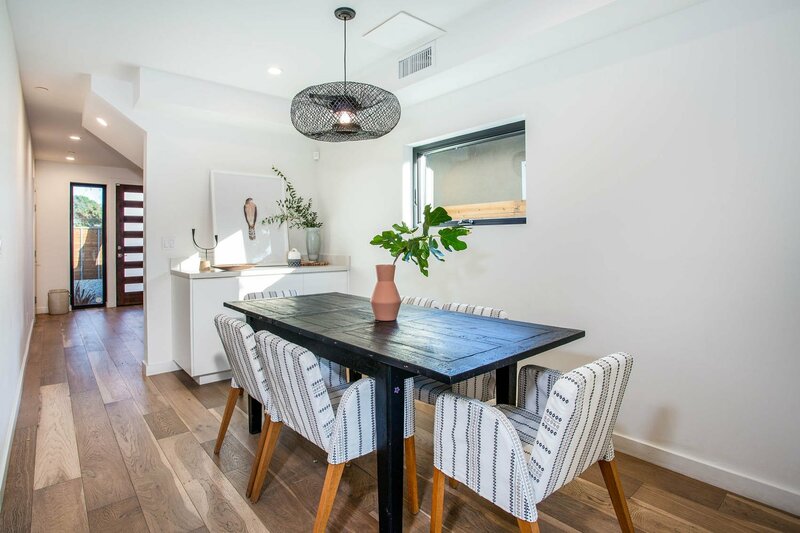 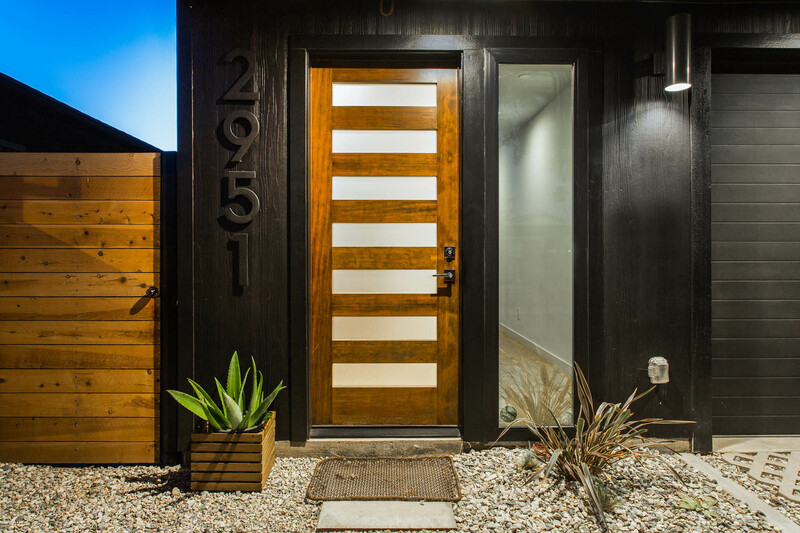 Nestled on a cul-de-sac in prime Atwater Village, this architectural beauty was newly built in 2017 and styled by Emily Henderson. 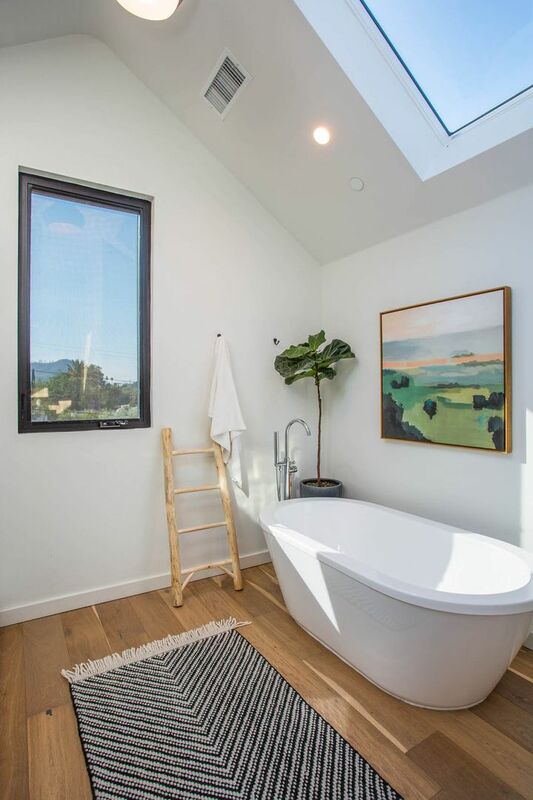 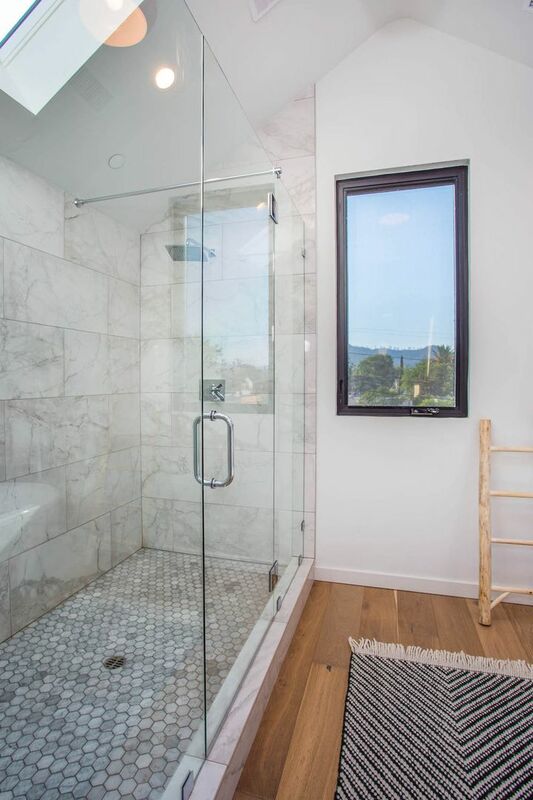 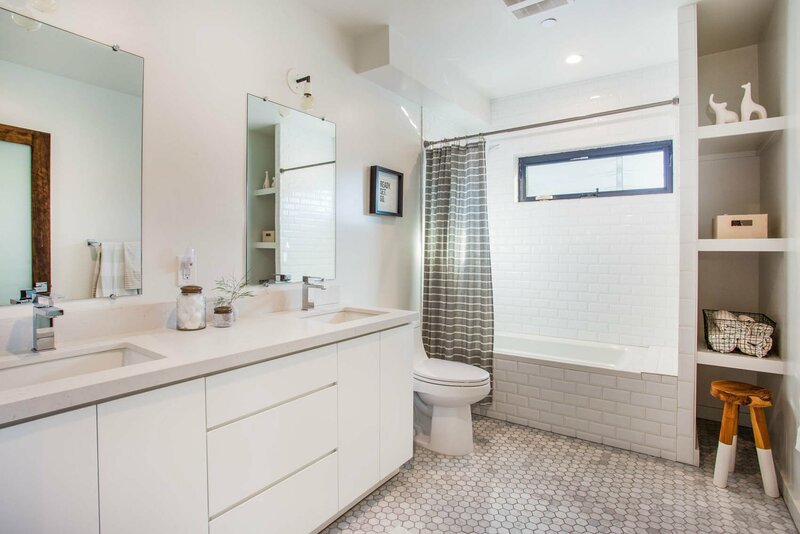 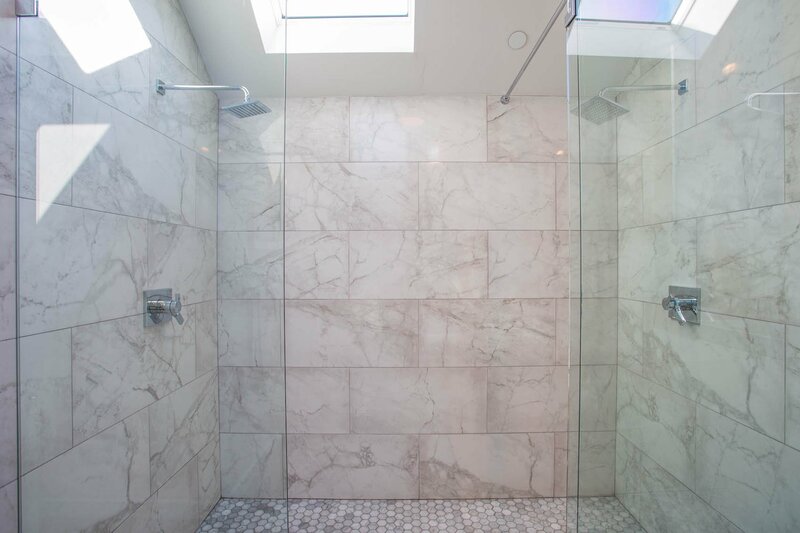 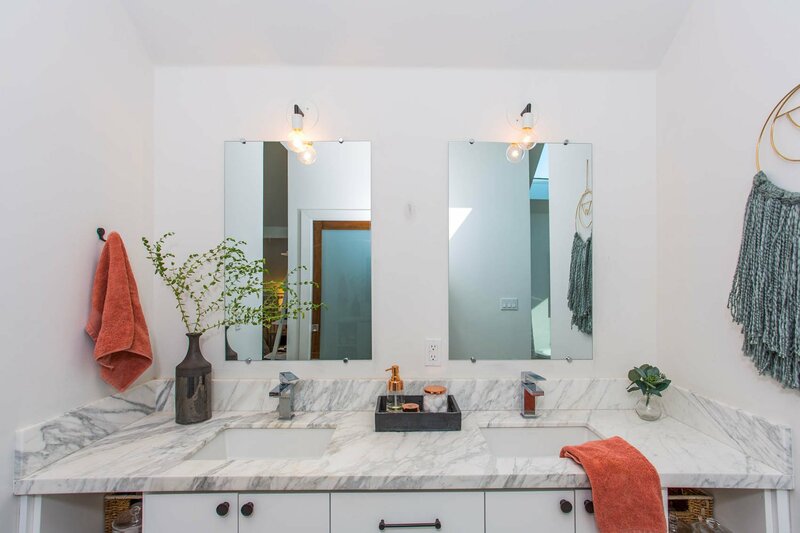 This four-bedroom, two-and-a-half bathroom home is fully gated and private from the street. 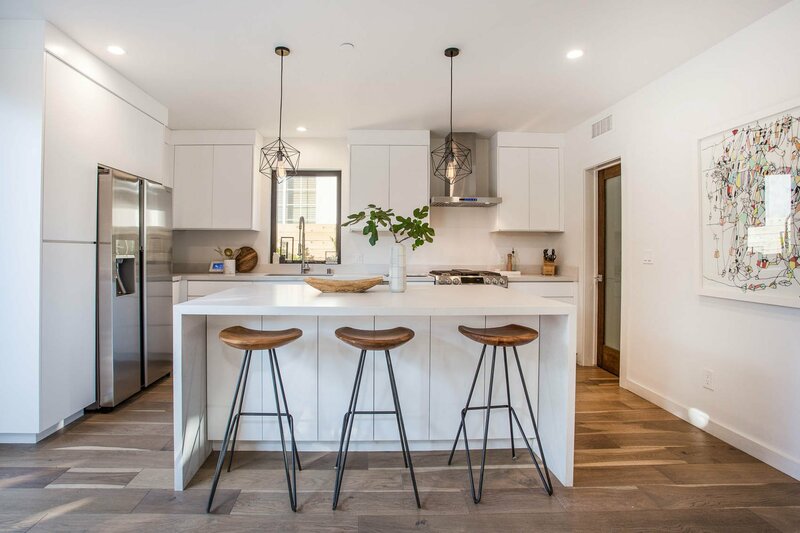 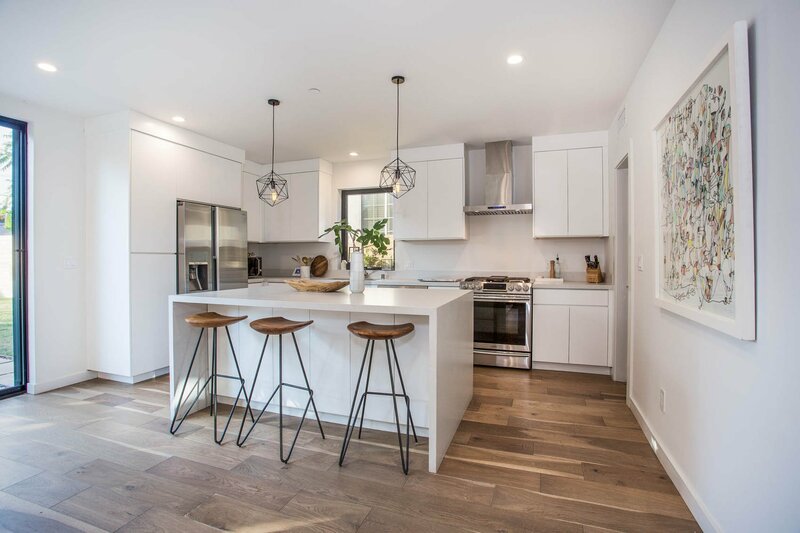 Enter on the main level with an open kitchen connected to a living and dining area with large sliding doors that open to the patio and expansive grassy backyard with a clubhouse. 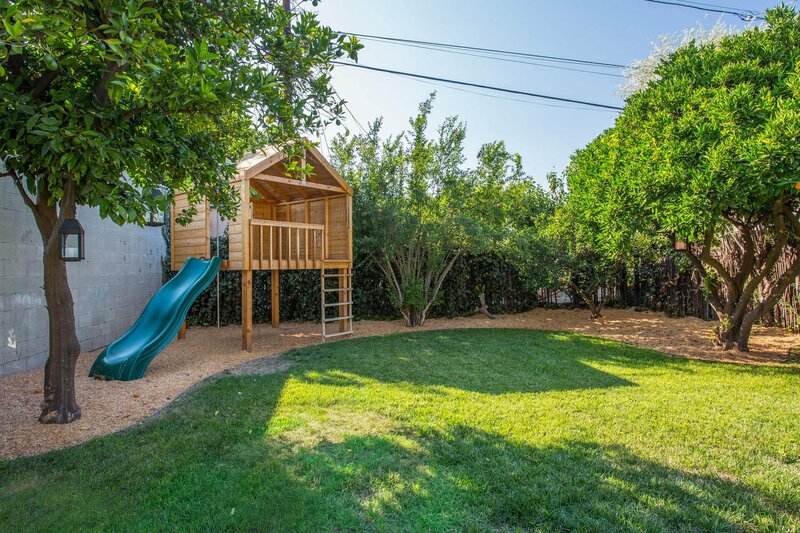 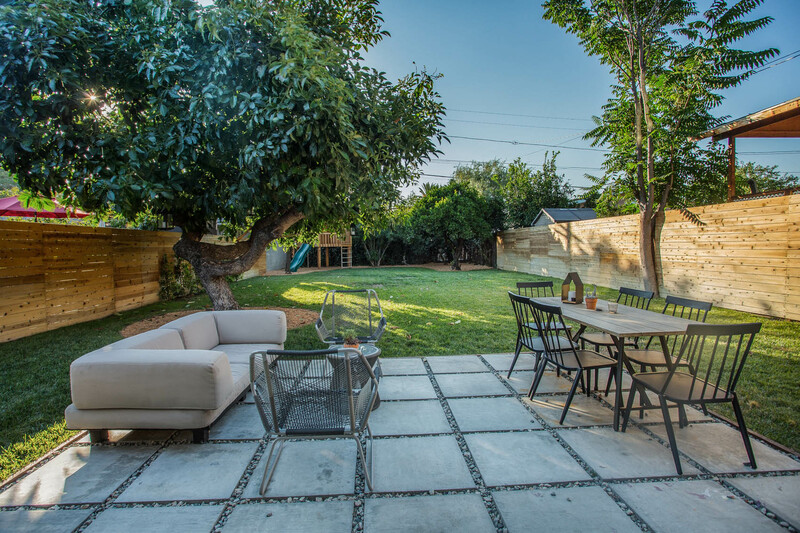 This private yard hosts mature avocado, pomegranate, tangerine, and orange trees and leaves plenty of room for a pool. 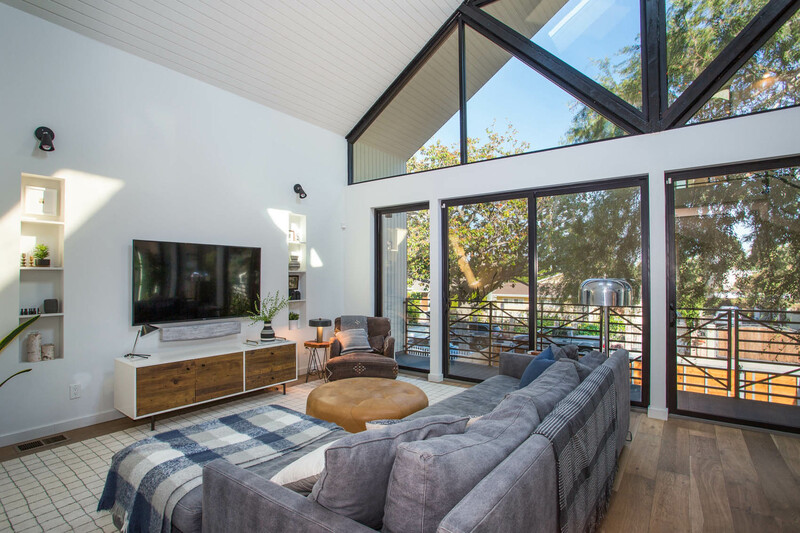 Upstairs is a dramatic second living room with 20-foot vaulted ceilings, and a wall of glass leading to a balcony that runs the width of the home. 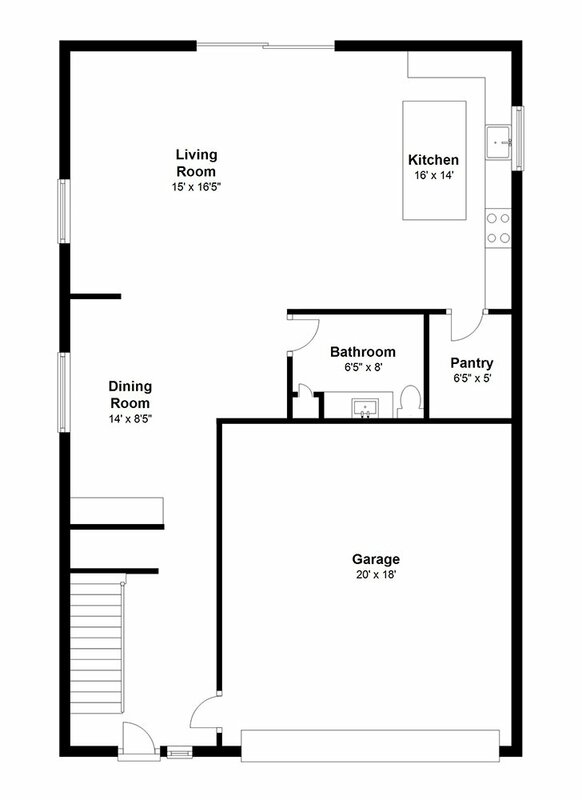 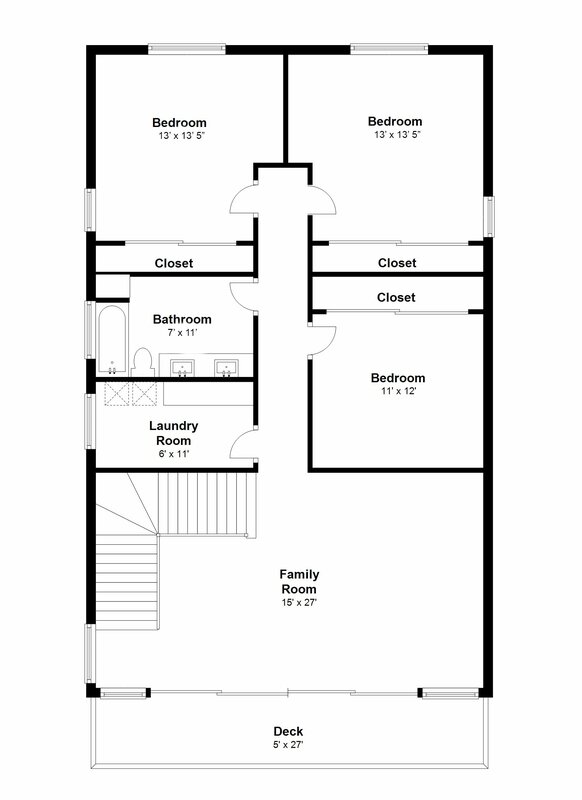 Follow the hallway to three bedrooms, a bathroom, and large laundry room. 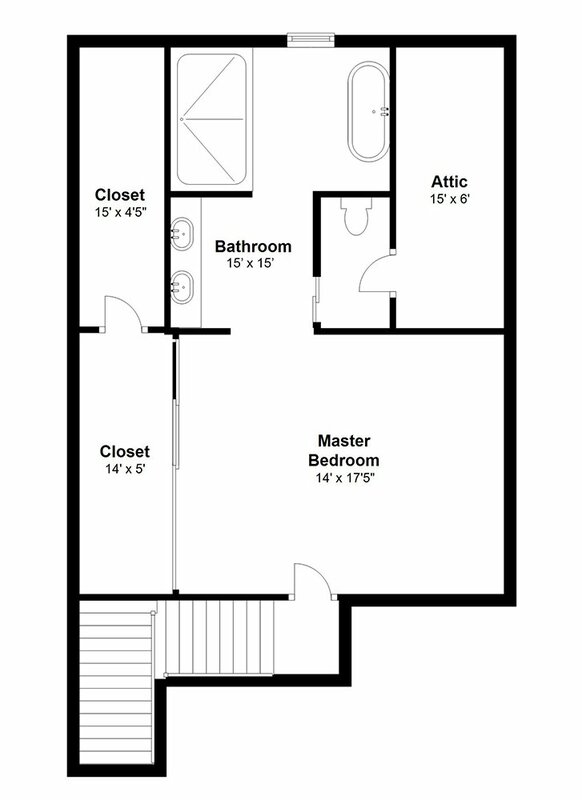 The entire third floor is a master retreat featuring high ceilings, a large closet, double shower, and free standing deep soaker tub. 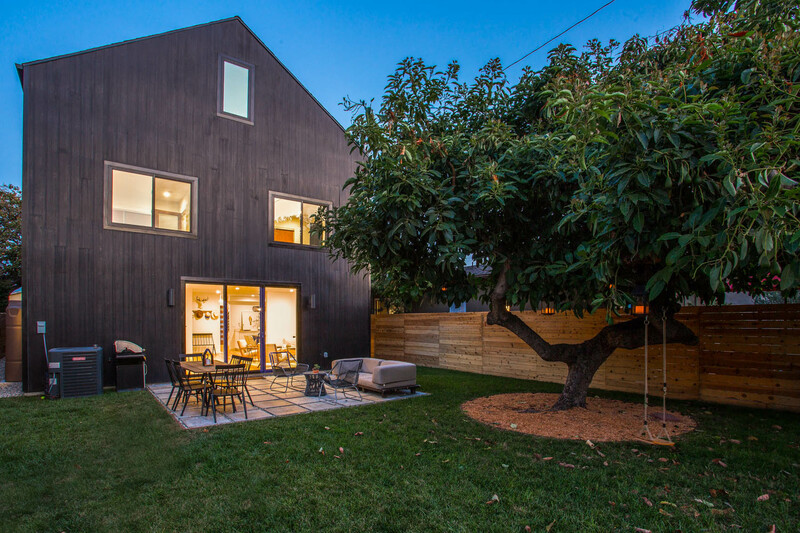 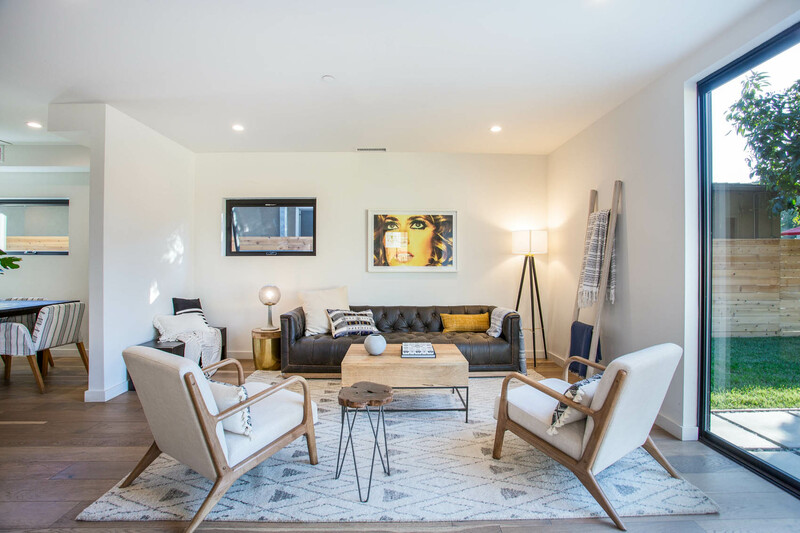 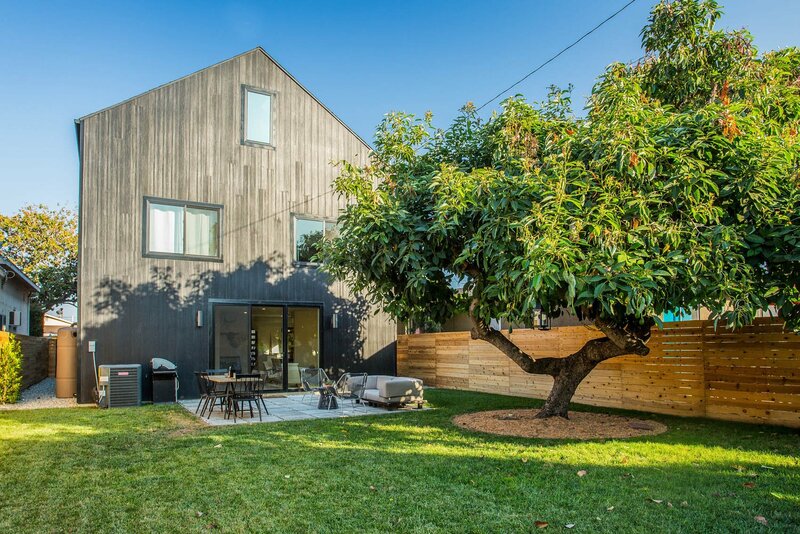 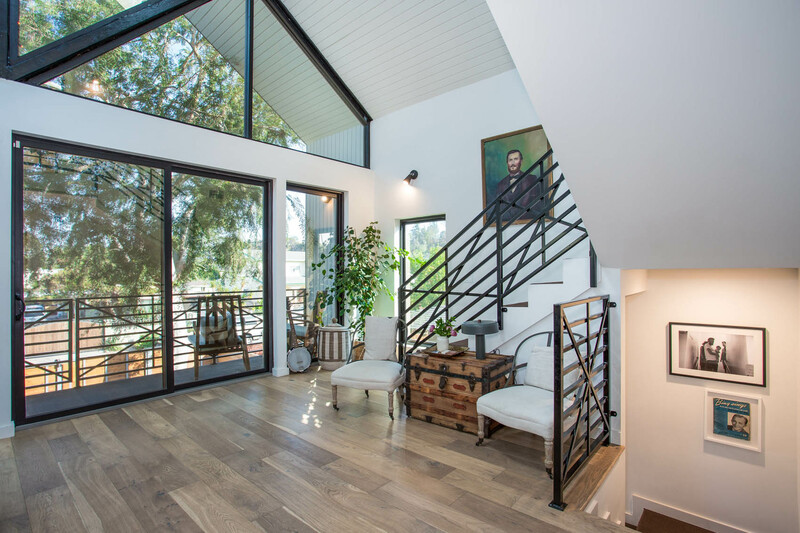 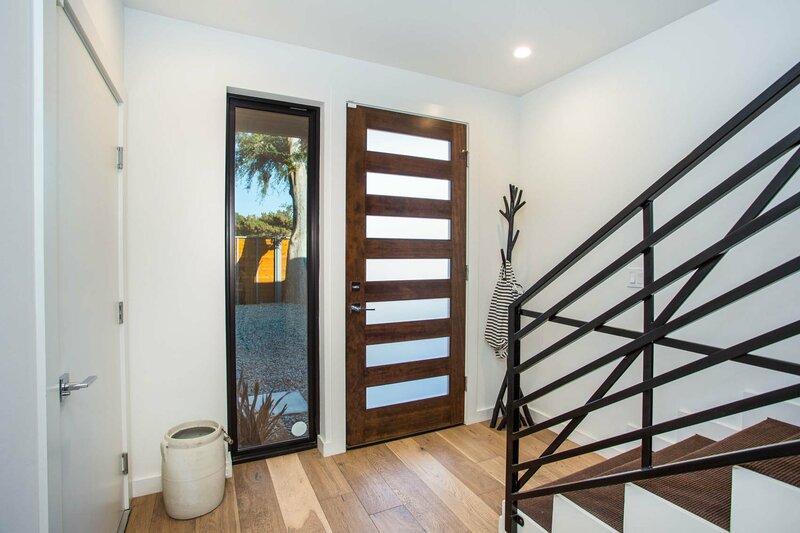 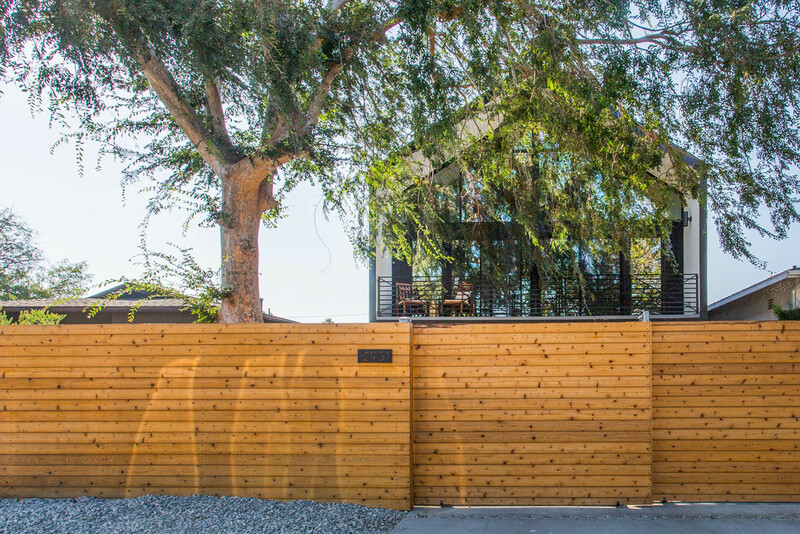 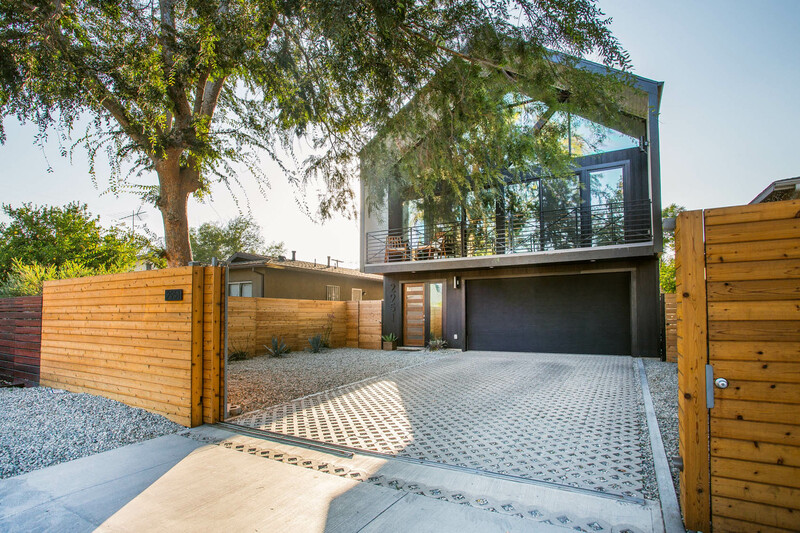 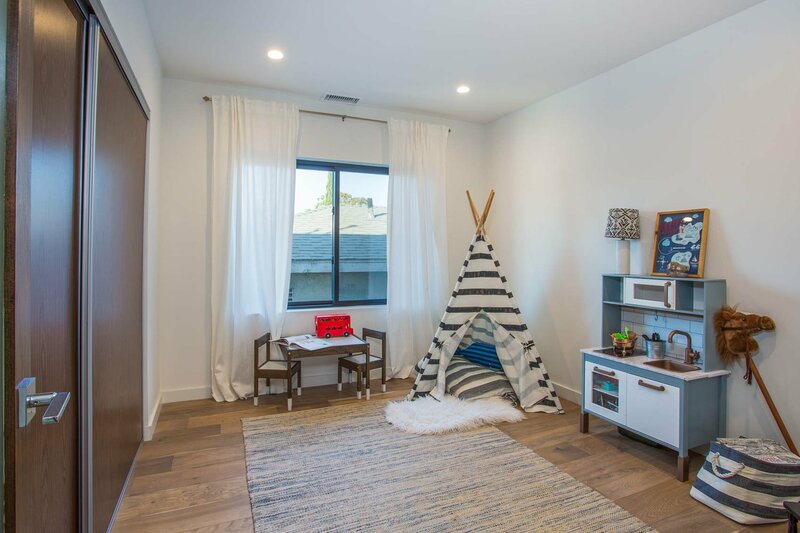 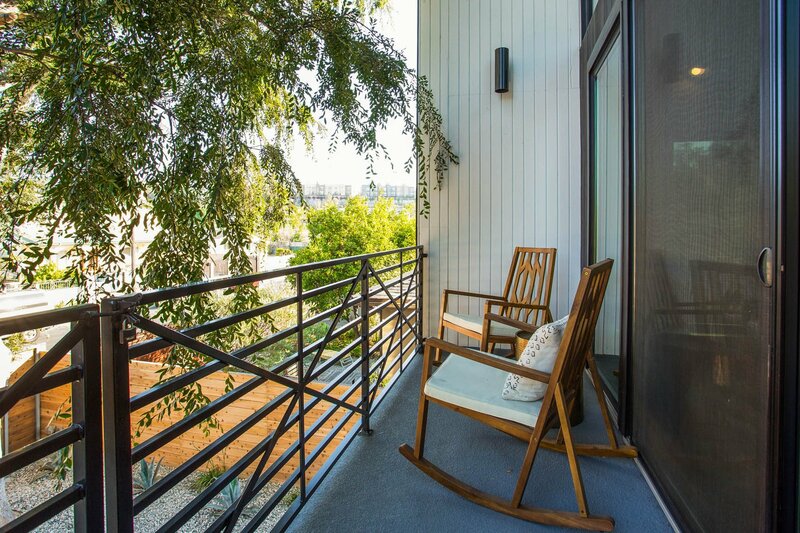 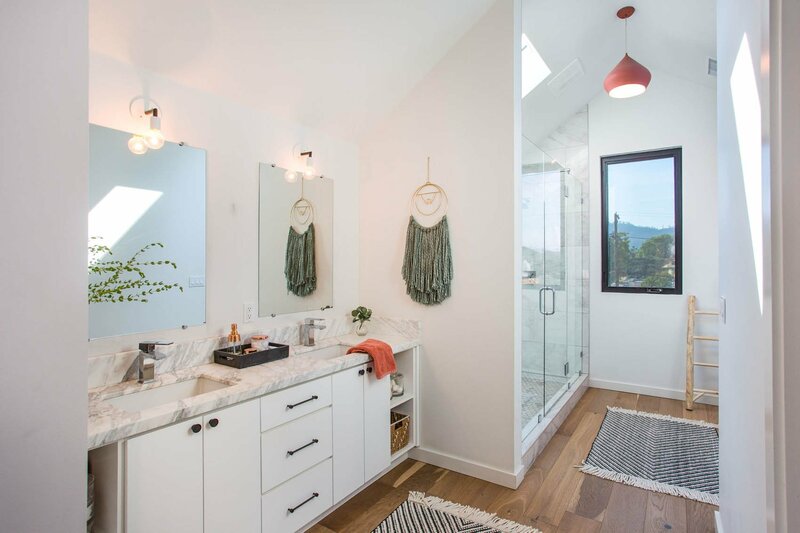 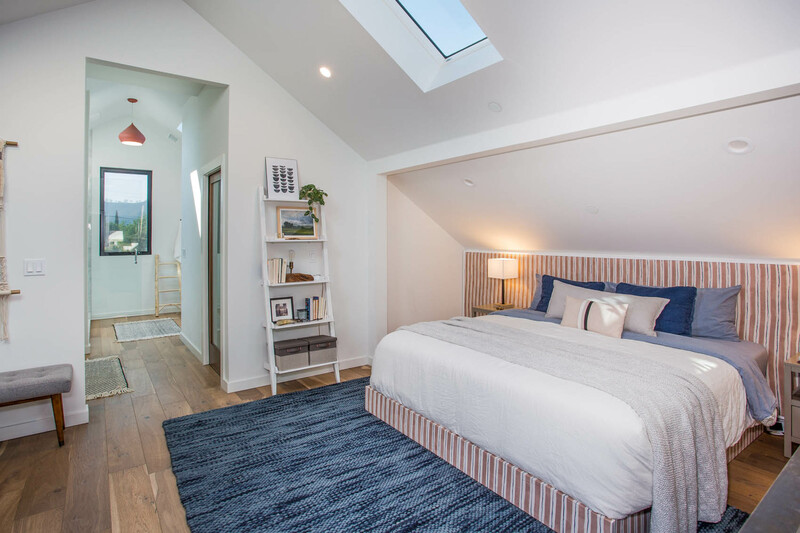 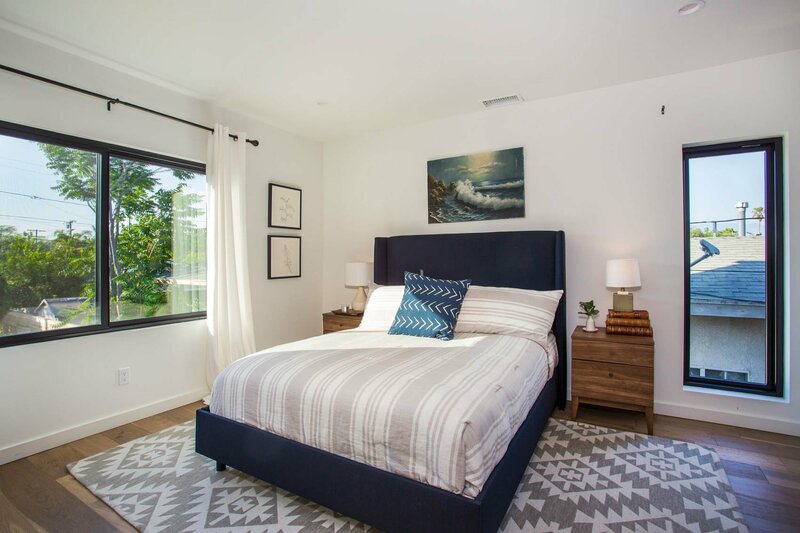 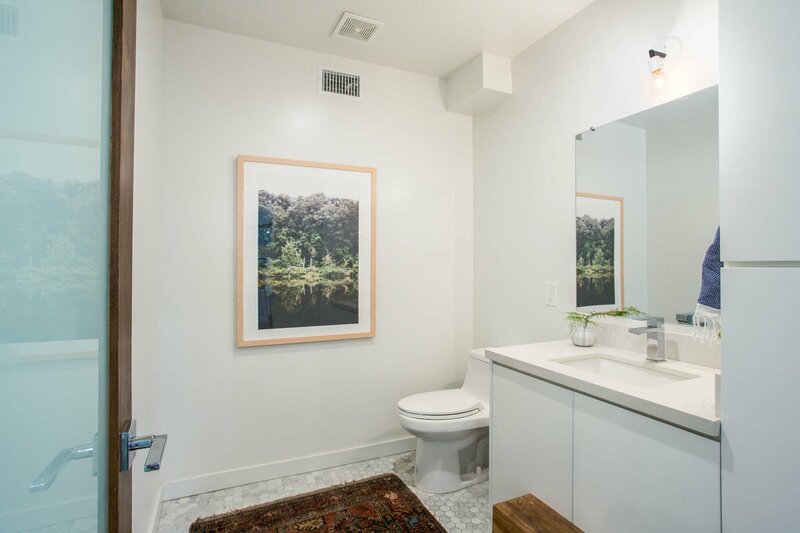 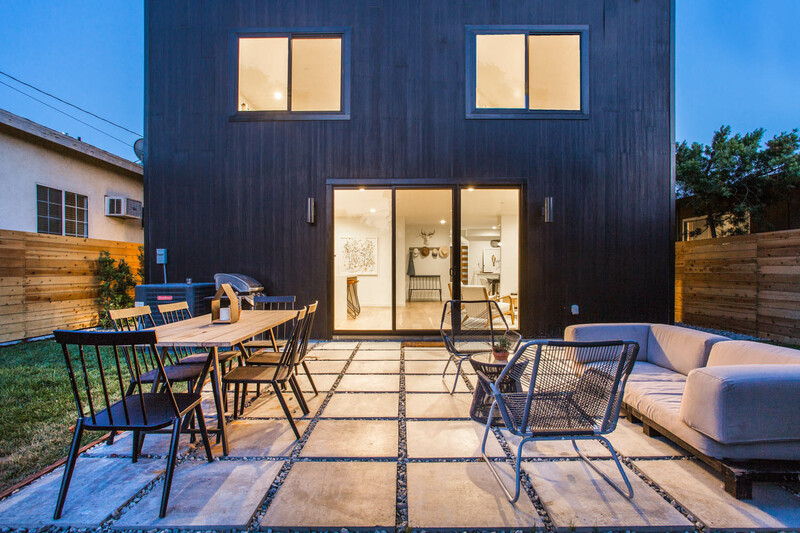 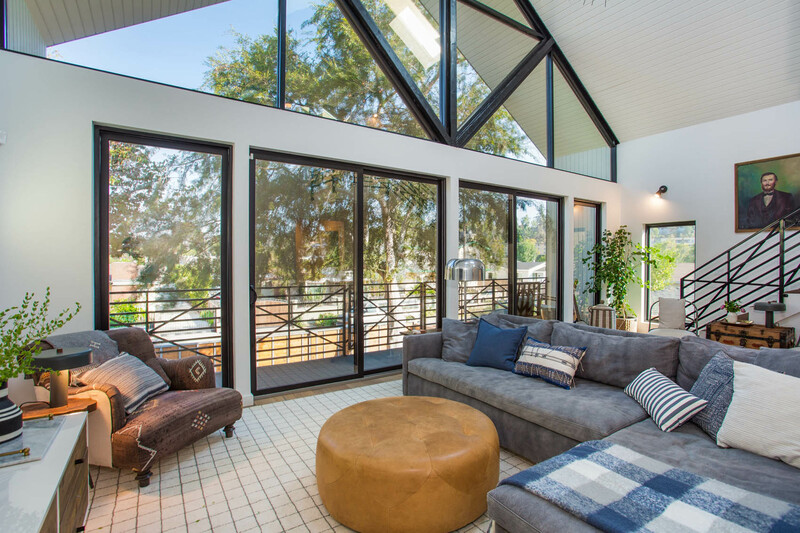 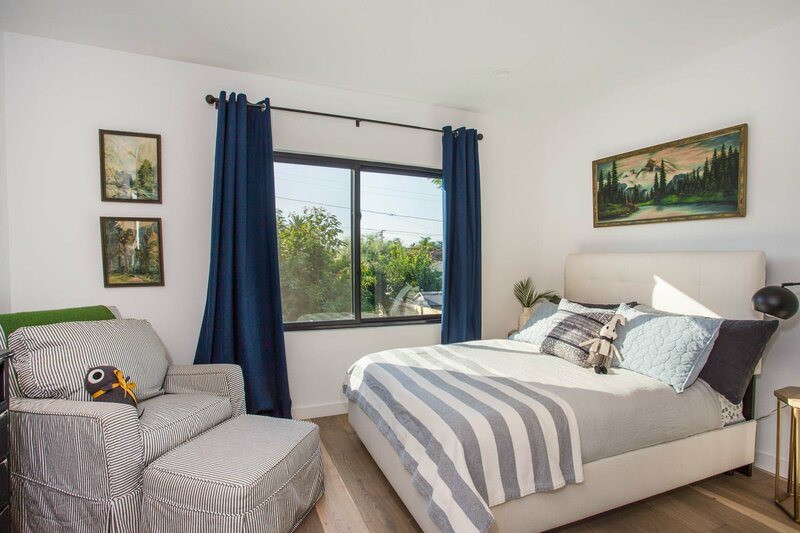 This modern home is a stone's throw from the LA River connecting it to the best of Atwater Village, Frogtown, Silver Lake, and Los Feliz. 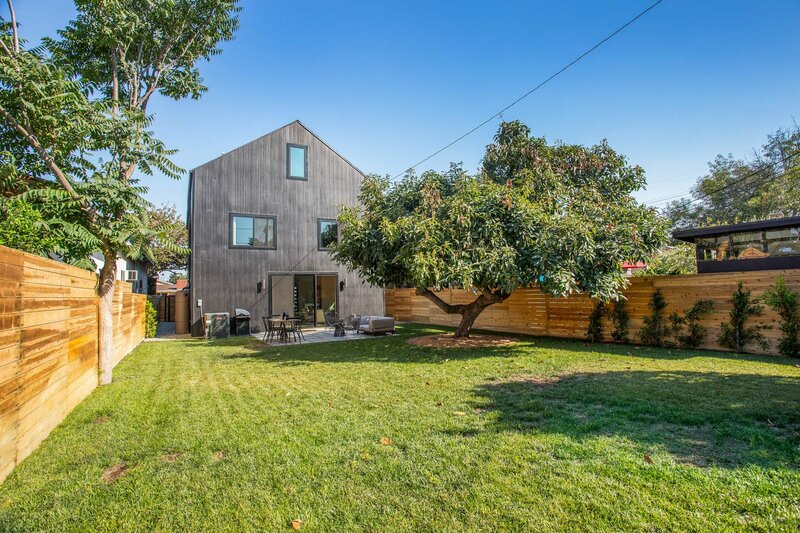 Minutes from Proof Bakery, Dune, Salazar and the Farmers Market.